It’s an omnichannel world. And it’s made digital experiences the new battleground. Delivering winning data-driven experiences is about more than having the right technology. It’s about having the right experts in your corner. As digital transformation leaders, SapientRazorfish and Adobe have the global experience, deep insights, and proven methodologies to make it all happen. Adobe and SapientRazorfish are both proud to have been named Leaders in the 2016 Magic Quadrant for Digital Marketing Hubs and the 2016 Magic Quadrant for Global Digital Marketing Agencies, respectively. Receiving the highest and furthest overall position for our ability to execute and completeness of vision has further strengthened the partnership and the unparalleled experience-driven solutions we can offer our clients. Erasing the lines between physical and digital. Digital has forever changed the retail shopping experience. Brands who deliver seamless, data-driven customer journeys from online to in-store will come out on top. Brands who don’t will get pushed aside. Our retail strategy brings together the power of the Adobe Marketing Cloud and SapientRazorfish commerce technologies, plus industry expertise that enables a connected customer experience across channels. Now you can tap into real-time customer data to deliver revenue-driving, personalized in-store experiences. Bringing the omnichannel experience to B2B. 50% of B2B buyers are digital natives. This means your business customers expect the same seamless digital experiences they enjoy as consumers. 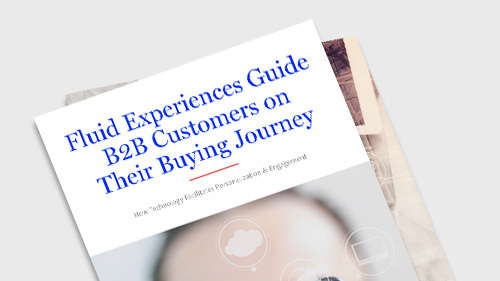 Our B2B approach introduces new ways to deliver B2C-inspired experiences for many industries, with easier purchasing and procurement across channels. Now everyone — from individual manufacturers and global distributors to aerospace and high-tech — can meet rapidly evolving customer expectations. Welcoming digital means welcome to smooth sailing. We’ve become a generation of DIY travelers who plan, manage, and book travel online. Further, we demand better services across every channel — online, in store and over the phone — and all must be connected. Today, digital transformation is setting the course for enhancements and improvements to the overall experience. Brands must clearly understand the customer journey and define their role in the relationship. With the rise of metasearch platforms, OTAs, aggregators, point solutions, and planning-oriented commerce, SapientRazorfish and Adobe are here to help you navigate the waters. Carnival Cruises – So Much Fun! Investing your digital dollars in the consumer pays off. Digital disruption is shaking things up in financial services. 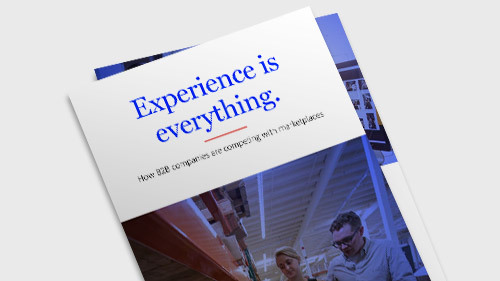 Smart companies are sensing the urgency to transform their business and embrace today’s connected consumer. Make the shift to a customer-first mindset with help from SapientRazorfish and Adobe to improve satisfaction and reduce costs. With our years of expertise in supporting the world’s leading financial brands you can gain a competitive advantage all while remaining compliant. It’s an investment in your digital future. Powering stronger connections with a shared vision. Always On is a joint alliance between Adobe and Publicis Groupe that provides the vision, framework, and tools to help brands connect more deeply with customers at every stage of the customer journey. By standardizing the technology on the industry-leading Adobe Experience Cloud, Always On offers marketers a unique advantage by enabling a shared understanding of the consumer across all Publicis Groupe agencies and the ability to create highly personalized, omnichannel experiences at scale. * These graphics were published by Gartner, Inc. as part of larger research documents and should be evaluated in the context of the entire document. These Gartner documents are available upon request from Adobe and Razorfish.